I really have a love/hate relationship with christmas shopping. I love the experience of giving gifts, but I HATE shopping…unless it’s for food, kitchen, and paleo grub! I was planning to get this out a few weeks ago, but narrowing down all my favorite goodies was a little harder than I expected. That’s what happens to me when shopping, I love it all and can never decide. I took some time to bring you 3-5 solid choices for each category, with some varying price ranges. Complete with DIY gift suggestions, this paleo holiday gift giving guide includes some of the best paleo foods, books, lifestyle products, and kitchen must haves available for purchase with the ease of one click. That’s my kind of shopping! Please note: Some of the links below are affiliate links, which means that if you purchase anything through them I will receive a small commission. This is at no additional cost to you and helps keep Food and Sunshine alive to bring you great free content. I only endorse products that I’ve used, know, and trust. Make It Paleo and Make It Paleo II by Haley Mason and Bill Staley. Eat the Yolks by Liz Wolfe of RealFoodLiz.com. Why Zebras Don’t Get Ulcers by Robert Sapolsky. Any foodie appreciates quality animal proteins. Pick out specially cuts that one may not be willing to splurge on for themselves. Pair with a set of steak knives or grilling tools. Primal Palate Spices make an incredible gift for any foodie in your life. They carry the highest quality organic spices and blends. The one of everything kit is a steal. Whatever you do make sure to grab the signature blends – they will quickly become a kitchen staple. These are a super simple way to elevate all the flavors in your cooking! Thrive Market is an online health food store that stocks various ingredients, health, home, and personal products at steep discounts. A membership purchased results in a membership donated to a family in need. Cold extracted from greece, this olive oil is certified organic and packs the best flavor I’ve ever tasted in an olive oil. This is liquid gold! A Do It Yourself gift is a thoughtful and creative way to express how much you care. I like putting together ‘survival kits’ in baskets or interesting reusable bins that I find at thrift stores. Below are suggestions for Paleo themed DIY gift sets. 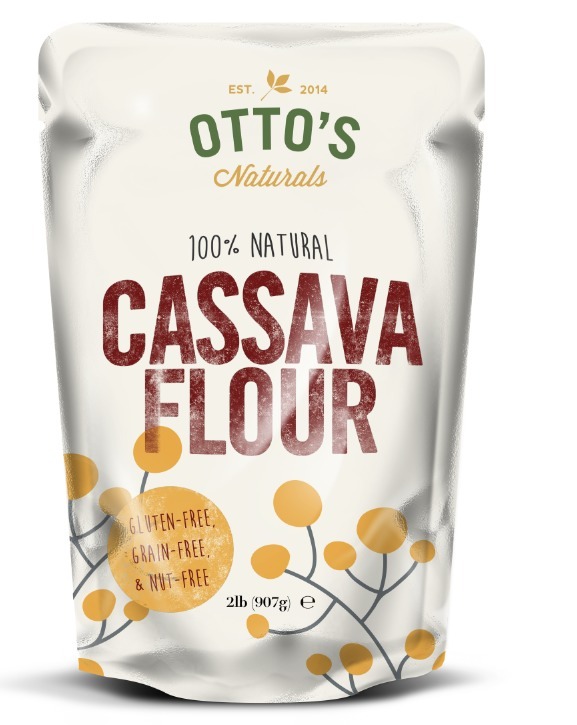 Paleo baking starts with a tasty & reliable flour. There is only one, it’s Otto’s. I hope this paleo holiday gift giving guide makes your shopping a bit easier this year. Sign up for the email list above to receive great recipes for all those new kitchen gadgets!